We have presented the changes in revenue on a local currency basis, excluding the effect of exchange rates. We have arranged the businesses by their success in growing the top line and, with the exception of Office Business, they were all positive. 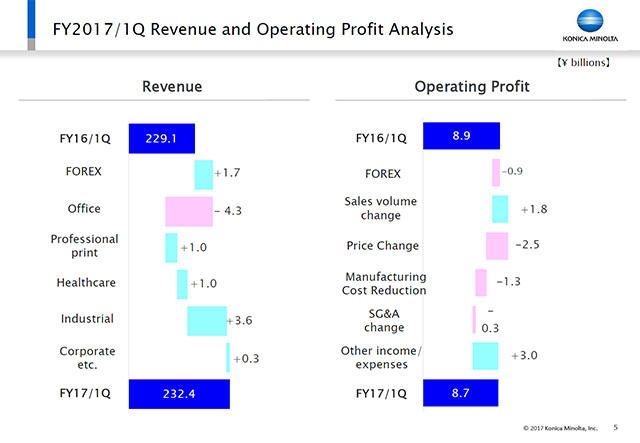 These are the factors behind the changes in operating profit.